Indie artist Lakesha A. Washinton, aka LAW, is a Canadian-native gospel artist now residing in the great state of Texas. Good quality gospel music is all about well-executed instrumentation, succinct rhythm, encouraging lyrics and expressively strong vocals; with LAW's latest single "Holy Spirit," she's banging on all of the cylinders. LAW has provided an offering that is most definitely one that brings a fresh sound to the gospel scene. Her lyrics are introspective while also about clearly presenting who the Holy Spirit is. As Washington sings, "Searching my deepest thoughts, loving me with my flaws and all… you're pure holiness dwelling within," she reflects on the shortcomings of humanity while acknowledging God's goodness. The only setback to the single is that there are no remixes or supplemental tracks to support it. However, if this is only a taste of what she can produce - it's sounding like a full-length is going to be heard in the very near future. Bravo Mrs. Washington, your music is beautiful. Jesus freak Hideout (Ryan Barbee): The single is beautiful. What was the inspiration in writing this song? LAW: Thank you very much. Well the inspiration behind the song has to do with becoming aware and in tune with God's Spirit. It's also about understanding or recognizing its purpose in our lives, which is to guide, minister and help us during our spiritual walk. Although I am a songwriter, I cannot take credit for the writing. 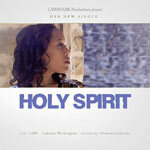 A good friend of mine, Oshawn Jefferson, is the writer of "Holy Spirit" and my and my husband's company, LawMark Music Productions, were simply asked to produce and arrange this track with vocals. And so that is the result of what you have now heard. JFH (Ryan): What has been the overall response to the song from different audiences? LAW: The response has been wonderful. There have been a good number of radio stations, blogs, dj's, etc that have responded to it online and of course through social media. I've learned that music spreads very quickly from one country to the next and so I have had the privilege of having my music reach places in the US, Africa, the UK, and Poland, for example. JFH (Ryan): Are there plans for a full-length in the future? If so, when can we expect it? LAW: There's always a possibly. If not a full length, you will continue to hear singles here and there demonstrating the work of our company. Right now, though, I am placing my attention and focus on songwriting and the whole production and creative process. LAW: I enjoy artists like Maxwell, Marvin Sapp, Jill Scott, Israel Houghton, India Arie, Musique, Kari Jobe. For me, I love a variety of music. I love a little depth at times and originality, old and new school. LAW: I want to become more solid in my music while sharpening my skills. I want our company to continue growing and maturing as a whole. Market to artists, labels, producers and individuals and companies of both inspirational and R&B genres. I want to learn more from others by working with those who have already walked the road I'm now traveling. Work closely with artists who have inspired me for years. Get to the point where I can help coach and assist those who need assistance in building and structuring the arrangement of their music. And have those songs reach and be a blessing to listeners. JFH (Ryan): As an artist, what would be your advice to aspiring songwriters? LAW: Be true to your craft, use successful principles while being yourself. Be open to the creative process while collecting your thoughts. Brainstorm often and keep a journal or recorder handy everywhere you go. Pull from your heart as well as others. Write about all life's experiences. LAW: How to speak and carefully choose my words both in life and when writing. How to trust him and any ideas He places in my mind. And He's teaching me how to recognize my strengths and how to also trust others where I'm weak.